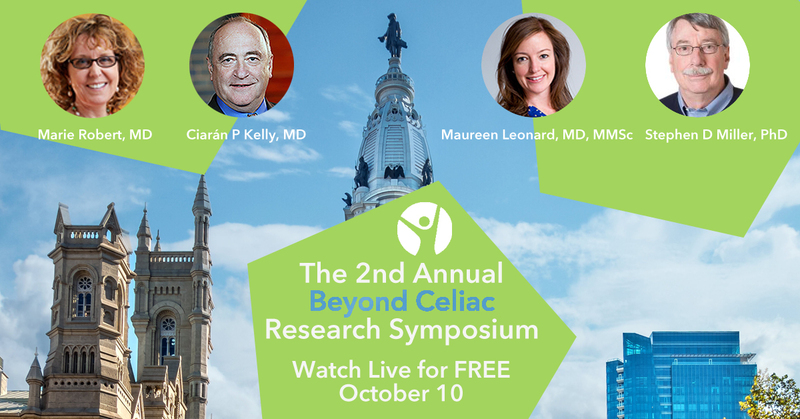 Area celiac disease and other autoimmune disease patients can learn about the latest developments in research and treatment by attending the 2nd Annual Beyond Celiac Research Symposium on Wednesday, Oct. 10 in Center City Philadelphia, with others around the world able to watch live via webcast. Leading celiac disease experts will explore the headline-making topic of the role of the immune system – the body’s defense mechanism – in celiac disease, the groundbreaking research into the gut microbiome, and breakthroughs in clinical trials. These experts will also answer questions submitted in advance from webcast viewers and live from the audience. Marie Robert, M.D., Chief Scientific Officer at Beyond Celiac and Professor of Pathology and Medicine at Yale School of Medicine (moderator). Dr. Robert is a nationally recognized gastrointestinal surgical pathologist, a celiac disease researcher, and has served as the director of Yale’s Program in Gastrointestinal Pathology and the Yale Fellowship in Gastrointestinal Pathology. Ciaran Kelly, M.D., Professor of Medicine at Harvard Medical School and Director of Gastroenterology Training at Beth Israel Deaconess Medical Center (panelist). He is an internationally recognized expert in the diagnosis and management of celiac disease and a member of the Beyond Celiac Board of Directors. Maureen M. Leonard, M.D., MMSc, Clinical Director of the Center for Celiac Research and Treatment at MassGeneral Hospital for Children and Instructor of Pediatrics at Harvard Medical School (panelist). She is part of a groundbreaking study of how the microbiomes of infants who have relatives with celiac disease contribute to celiac disease development. Stephen D Miller, Ph.D., internationally recognized researcher on pathogenesis and regulation of autoimmune disease, and Professor of Microbiology-Immunology at Northwestern University’s Feinberg School of Medicine (panelist). His research into nanoparticles engineered for immune regulation is on the leading edge of innovations for the future of celiac disease management. The attendance and viewing via webcast is free, but registration is required. 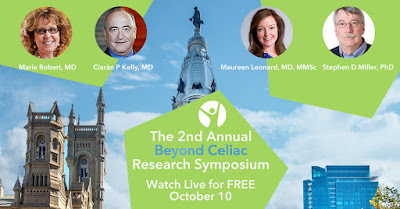 Visit www.BeyondCeliac.org/symposium to register.